While decorating my place for Fall, I have been looking for more neutral ideas and looks that can be classy or farmhouse style! 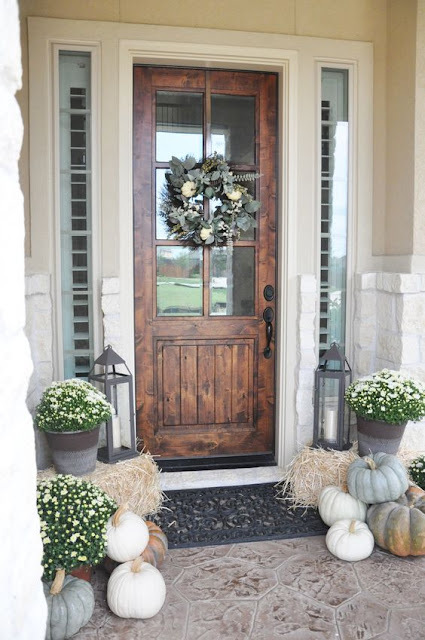 What better way to welcome fall into your home than by starting with your front door! I am always so jealous of all of these front doors! I live in a Condo and we can't do more than a wreath, but I totally love this! Simple but gorgeous! This table is more decorated for thanksgiving, but I think that it works for Fall in general. 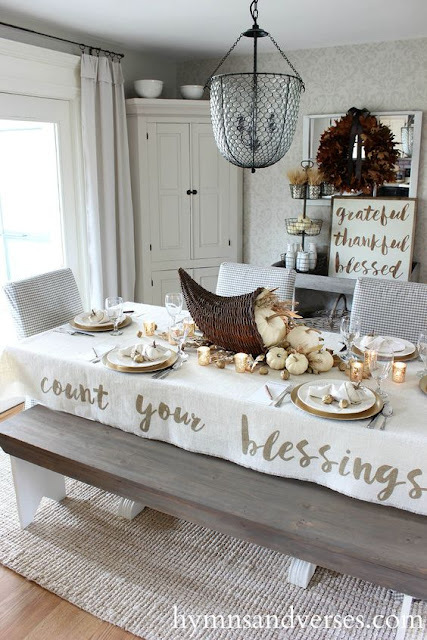 I love the count your blessings table cloth - I think it is great with the bench, otherwise you wouldn't see it with the chairs blocking it. Also obsessed with white pumpkins, I always love to buy the little ones to decorate with! 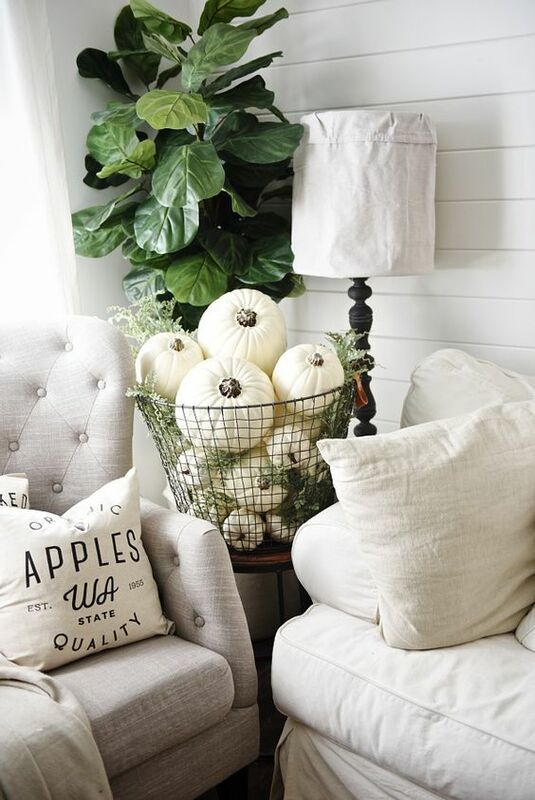 What a creative and cute way to add neutral fall decor to a living room! Fill a basket with some white pumpkins! Similar idea to the table decor I posted above, but this is a more in depth table setting, which I love! 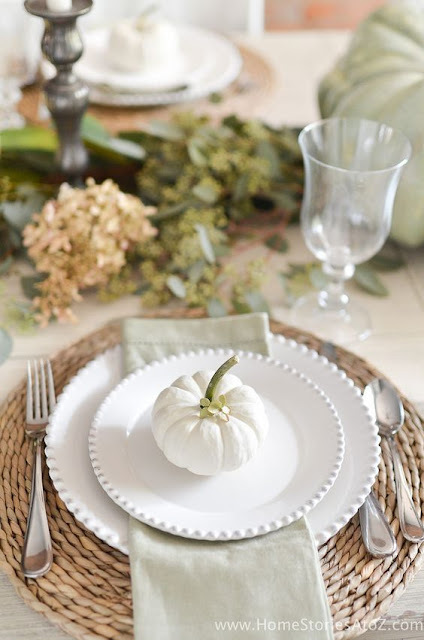 Plus I love what they did with the napkin as well as the white pumpkin on each place setting! This sign would be such an easily fall DIY! 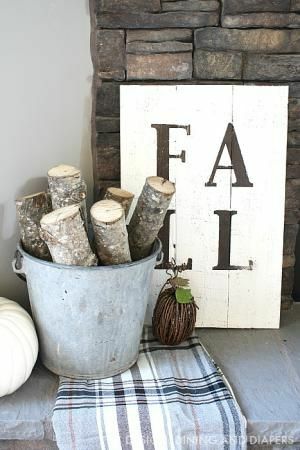 Also, loving the bucket filled with logs and I like the little wood pumpkin, but I would put a few real pumpkins! People who works there are some of the sweetest people I've met. Save yourself some time and just go there. Everyone at these rental spaces for parties is sweet and ask how you've been, even though normally staff keep their heads down.